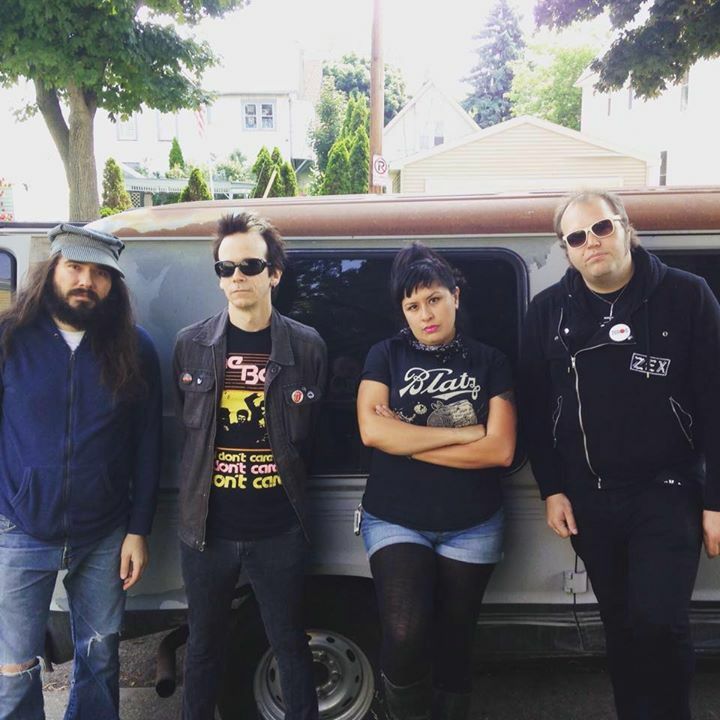 These glam punk dirtbags from Milwaukee specialize in big ol’ catchy power pop hooks, while their tuff as leather riffs and blistering solos make the scariest metalheads blush. 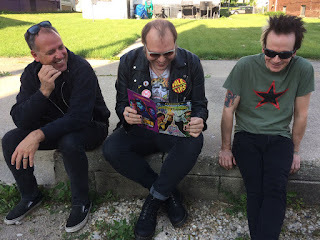 They’re frequently compared to the sleazy 1970s New York underground, and while they’ll gladly accept those charges don’t you dare call them a nostalgia act. 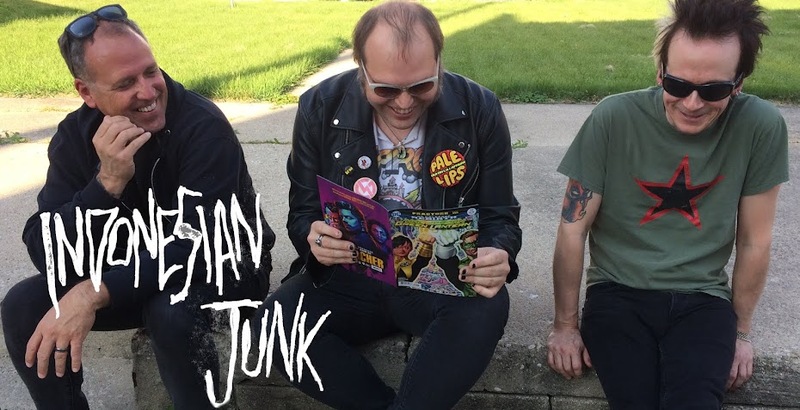 The Junk first pounced on the scene in 2014 with some home recorded demos by Chinese Telephones guitarist / Ramma Lamma bassist Daniel James, who quickly recruited the powerhouse rhythm section of Johnny Cyanide (bass) and Mike Mattner (drums). They’ve been cranking out LPs, 45s, and live tapes at a consistent pace while touring the Badstreets of the USA ever since.